This analysis is based on the research data sample of the Foundation Center, which includes allphilanthropic contributions of US $ 10,000 or more from 1,000 of the largest foundationsfrom United States. The data sample represents approximately half of the total fundsdonated by the universe of independent philanthropic foundations, business, community andoperatives of the United States. Therefore, the data in this report do not include contributionsphilanthropies of small foundations; support of corporate programs of direct contributions or ofpublic foundations; scholarships, direct contributions to individuals, or research scholarships; philanthropic contributions from private foundations to community foundations (to prevent donations from being computed twice); loans or investments linked to projects. 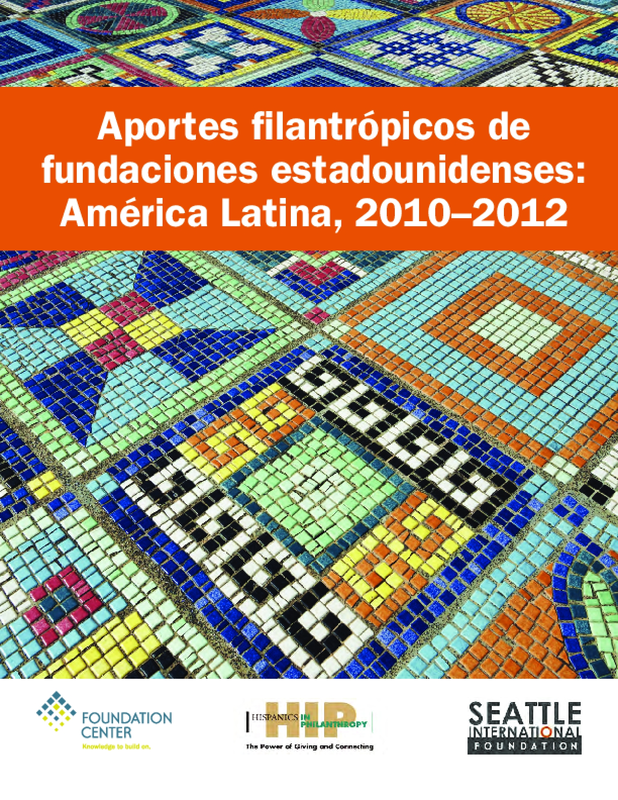 This sample of research data differs a bit of the one used in the previous report, philanthropic contributions of foundations destined to Hispanics / Latinos in the United States and Latin America. For that reason, we advise you to proceed with caution when extracting conclusions regarding the differences in financing observed between the two reports.